Pres. Taft enters Unitarian Church for Sunday service. Pres. Taft returns from a sightseeing trip across Lake Pontchartrain. at the St. Charles Hotel. Pres. 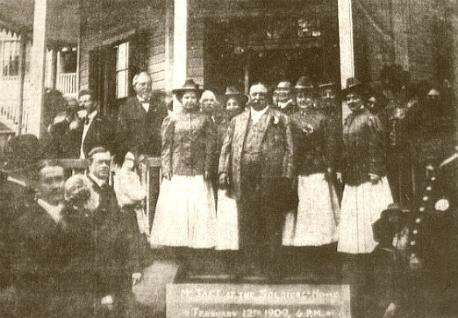 Taft visits soldiers' home, Camp Nicholls, on Bayou St. John.